783 million (1 in 9) people do not have access to clean water, and it is projected that two thirds of humanity will live in water-stressed areas by 2025. Nearly 1 out of every 5 deaths under the age of 5 worldwide is due to a water-related disease. Gaining a better understanding of how water impacts political and social stability around the globe and knowing how to solve these problems is vital to addressing the growing water crisis. Solving the global water crisis will require cross-sector collaboration. If individual donors, businesses, and the government work together to provide necessary support, there’s no reason anyone should suffer the health and economic consequences listed above. 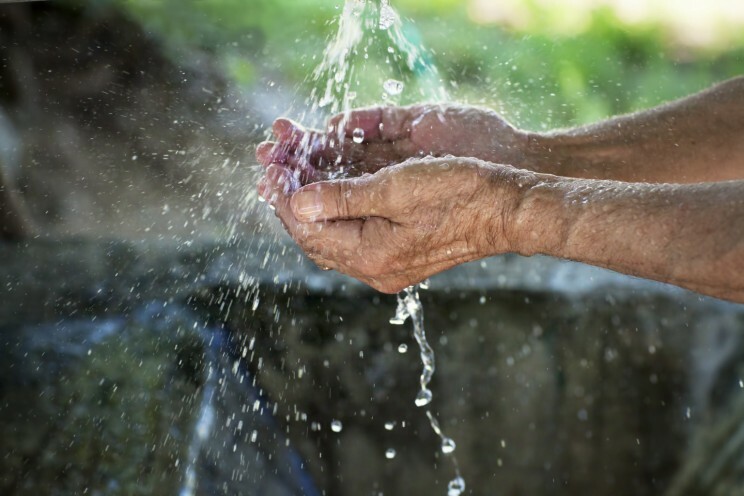 America’s Charities members are committed to addressing issues like the water crisis, and you can empower children and families all around the world by supporting these organizations. Feed the Children: Clean water and sanitation intervention for children and their families is crucial to prevent common illness. When children are guaranteed proper health and sanitation measures, they are able to prevent and fight disease, which enables them to develop both physically and mentally into strong children who become contributing members of their communities. Feed the Children's programs promote healthy immune systems and enable children to develop through adolescence and into adulthood. Learn more. The Conservation Fund: The Conservation Fund strives to protect our nation’s water resources by finding positive, lasting solutions to conserve it. They use strategic land conservation to protect properties vital to the water supply, whether it’s a plot that holds a community’s drinking supply, an urban area prone to flooding, or regions whose waters are threatened by development. In addition, The Conservation Fund helps cities and communities find ways to manage their water sustainably and effectively. Learn more. Population Connection: Each year, the world population grows by nearly 80 million people. More than one billion people today are living in water-scarce regions, a figure that will only grow with increasing population and water demands. Many strategies can reduce water scarcity, but one of the best ways to reduce water usage, however, is to slow down rapid population growth, according to Sandra Postel, director of the Global Water Policy Project. “We can meet the water needs of seven billion and have healthy aquatic ecosystems at the same time,” Postel said. Unfortunately, she added, “We are not moving toward those solutions at a rate commensurate with the problem.” Learn more. Lions Club International Foundation: The United Nations designates March 22 to highlight the need for sanitation and access to clean water and sanitation. Globally, more people own a cell phone than have access to a toilet. Lions around the world are working to change this and making a global impact by leading recycling projects, tree planting campaigns, water preservation projects and more. Learn more. Follow us on Twitter and Facebook as we share how our members’ specific programs are working to address water scarcity and bring clean water to communities around the world. Donate & raise money for these nonprofits. America's Charities is proud of the work our member charities do in these respective areas. One of the most cost-efficient ways you can support these nonprofits is to donate to them via payroll deduction through your employer's workplace giving program (Don't have a program? Click here to have your employer contact our team.) Click on each charity's name above to learn more about their work, and to make a donation now!